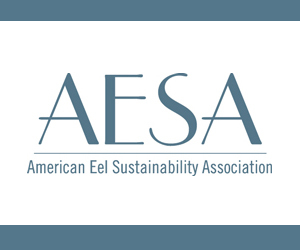 November 19, 2018 — Over the past decade, many Washington-based seafood processors have been gutted. Increased regulations, labor wages and shipping costs have eroded margins and stifled growth, particularly for smaller, family-owned operations. However, one business along the Willapa Harbor in South Bend has defied industry trends over its 10-year existence, continuously improving and expanding while diversifying its product line. In 2015, Antich hired a sales manager, then added an assistant manager to help delegate the duties for the growing operation. “I thought that would free my time up but we just got bigger and busier because now we can do more,” Antich said. What largely started with processing wild salmon in South Bend now includes razor clams, albacore tuna, black cod, halibut and rockfish, depending on the season. 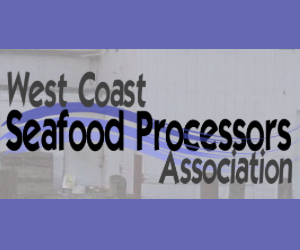 In January 2018 South Bend Products acquired a processing facility in Chinook, formerly owned by Bell Buoy Crab. The facility provided more access to the Dungeness crab fishery and curbed shipping costs. September 21, 2018 — US tuna canning company Bumble Bee Foods warned the US Trade Representative (USTR) in a letter that the now-confirmed tariffs against imports of Chinese tuna would be “devastating” for the firm. The tariffs — which will come into play on Sept. 24 at 10%, and then go to 25% on Jan. 1, 2019 — will hit US imports of yellowfin, skipjack, and albacore tuna loins, all of which are required by Bumble Bee’s Santa Fe Springs, California factory, wrote CEO Jan Tharp. The tariffs, which were initially proposed by USTR on July 10, will hike the cost of raw materials, which in turn will “certainly lead to higher prices for US consumers”, Bumble Bee’s leader said. February 21, 2018 — CORVALLIS, Ore. – Savvy Northwest anglers have long known that when patches of warm Pacific Ocean water drift closer to shore each summer, it’s time to chase after the feisty and tasty albacore tuna. Now a new study confirms that tuna are more likely to be found in regions of the California Current System with certain oceanographic conditions – and that commercial fishermen who work those areas more frequently bring in up to three times the revenue of other tuna anglers. Results of the study, which was supported by the National Science Foundation and led by Oregon State University, were published today in the journal Frontiers in Marine Science. The researchers sought to discover whether anglers were utilizing these LCSs and if so, whether it had an economic impact. They compiled data from a vessel monitoring system on the location of more than 1,000 fishing vessels every hour in the U.S. California Current Large Marine Ecosystem for a four-year period – a total of more than 340,000 trips. They then collected fisheries catch and price data. The report also notes an improvement in stock status scores (PI 1.1.1). For a visual summary of changes over time in the report’s scores, please see related infographics on the ISSF website:Summary of Sustainable Tuna Stocks (MSC Principle 1) and RFMO Performance (MSC Principle 3 Averages). Likewise, in the Indian Ocean, Yellowfin, Bigeye, and Albacore all received overall principle-level failing scores. The International Seafood Sustainability Foundation (ISSF) is a global coalition of scientists, the tuna industry and World Wildlife Fund (WWF) — the world’s leading conservation organization — promoting science-based initiatives for the long-term conservation and sustainable use of tuna stocks, reducing bycatch and promoting ecosystem health. To learn more, visit iss-foundation.org, and follow ISSF on Twitter, Facebook and Instagram (@issf.official). Updated several times per year, Status of the Stocks ranks the 23 stocks of major commercial tunas around the world using a consistent methodology. The report assigns color ratings (green, yellow or orange) on stock health, alternately noted as “abundance” and “spawning biomass”; fishing mortality; and ecosystem impact. Abundance ratings improved for Eastern Pacific bigeye, Western and Central Pacific bigeye, Mediterranean albacore, and Western Atlantic bluefin. Fishing mortality ratings improved for Western and Central Pacific bigeye, North Pacific albacore, and Indian Ocean albacore. In contrast, two bluefin stocks (Southern and Pacific Ocean), one yellowfin stock (Indian Ocean), and one bigeye stock (Atlantic Ocean) remain overfished. See Tables 1 and 2 in the report for specific rating changes. Inadequate bycatch monitoring and/or bycatch mitigation measures — represented by separate “Environmental Impact” scores, the third rating area — still are a concern in many of the tuna fisheries studied. Total catch: In 2015, the total major commercial tuna catch was 4.8 million tonnes, a 4% decrease from 2014. More than half of the total catch (58%) was skipjack tuna, followed by yellowfin (28%), bigeye (8%) and albacore (4%). Bluefin tunas accounted for only 1% of the global catch. These percentages did not change from the February 2017 report. Abundance or “spawning biomass” levels: Globally, 57% of the 23 stocks are at a healthy level of abundance (an increase of 5% from the previous report), 17% are overfished, and 26% are at an intermediate level. Stocks receiving orange scores, indicating overfishing or overfished status, include both Southern Hemisphere and Pacific Ocean bluefin, Indian Ocean yellowfin, and Atlantic bigeye. Fishing mortality levels: 65% of the stocks (an 8% improvement since the previous report) are experiencing a low fishing mortality rate, and 13% are experiencing overfishing. Largest catches by stock: The three largest catches in tonnes are Western Pacific Ocean skipjack, Western Pacific Ocean yellowfin, and Indian Ocean yellowfin. Tuna production by fishing gear: 64% of the catch is made by purse seining, followed by longline (12%), pole-and-line (9%), gillnets (4%) and miscellaneous gears (11%). For the first time in Status of the Stocks history, the November 2017 report features an appendix with a list of fisheries certified by the Marine Stewardship Council (MSC). There are 23 stocks of major commercial tuna species worldwide – 6 albacore, 4 bigeye, 4 bluefin, 5 skipjack, and 4 yellowfin stocks. The Status of the Stocks summarizes the results of the most recent scientific assessments of these stocks, as well as the current management measures adopted by the RFMOs. In addition, this report ranks the status and management of the 23 stocks using a consistent methodology based on three factors: Abundance, Exploitation/Management (fishing mortality) and Environmental Impact (bycatch). ISSF produces two reports annually that seek to provide clarity about where we stand —and how much more needs to be done – to ensure the long-term sustainability of tuna stocks: the Status of the Stocks provides a comprehensive analysis of tuna stocks by species, and the Evaluation of the Sustainability of Global Tuna Stocks Relative to Marine Stewardship Council Criteria provides a review of the health of tuna fisheries by region. The MSC-certified fisheries list (Appendix 2) in Status of the Stocks complements the Evaluation report. A. The report measures the abundance of fish that are able to reproduce each year, called the spawning stock biomass (SSB), and compares it to an estimate of the biomass that would produce maximum sustainable yield (SSBMSY), which is the spawning biomass that results in the highest average catches in the long-term (this is a target of fisheries management). When SSB is below SSBMSY the stock is in an “overfished” state. Overfishing doesn’t necessarily mean that the stock is in immediate danger of extinction or collapse — it means that currently, the fish aren’t being allowed to grow and reproduce at their most productive level. If a stock is overfished, the report will note any corrective measures being taken by the relevant fisheries management organization (RFMO). Is it in danger of becoming overfished? The report measures the fishing mortality rate (F), a measure of fishing intensity, and compares it to the fishing mortality that produces maximum sustainable yield (FMSY). When F is above FMSY, the stock is in danger of becoming overfished in the future. This is called overfishing. If overfishing is taking place, the report will note any corrective measures being taken. The report also measures the environmental impact of fishing in terms of “bycatch” rates. Bycatch is any species caught by the boat that is not the kind of fish the skipper is searching for. All fishing methods result in some bycatch of non-target species. The report identifies the relative bycatch rates by fishing gear and reports on mitigation measures adopted by the RFMOs for various species groups. The International Seafood Sustainability Foundation (ISSF) is a global coalition of scientists, the tuna industry and World Wildlife Fund (WWF) — the world’s leading conservation organization — promoting science-based initiatives for the long-term conservation and sustainable use of tuna stocks, reducing bycatch and promoting ecosystem health. To learn more visit their website at issf-foundation.org. Seafood processors, traders, and marketers can accelerate the path to globally sustainable tuna fisheries by purchasing many of their tuna products from suppliers that meet strict sustainability criteria, according to the International Seafood Sustainability Foundation (ISSF), which has released a new conservation measure for its participating companies to follow. ISSF Conservation Measure 2.4: Purchase Requirements from ISSF Participating Companies to Enhance the Effectiveness of ISSF Conservation Measures requires that the nearly 30 ISSF participating companies purchase tuna products — with specific parameters as explained in full text of the measure — primarily from other suppliers that are ISSF participants. Any tuna supplier that chooses to follow ISSF conservation measures, commits to the ISSF compliance audit process, and successfully completes an initial audit of if traceability system, may apply to become an ISSF participating company. “Conservation Measure 2.4 provides the foundational framework for our market influence strategy by requiring all stakeholders in the tuna trade to adhere to the same standards that ISSF Participating Companies are held to and audited against,” said ISSF President Susan Jackson. The new conservation measure applies to seafood suppliers that either (1) trade 10,000 or more tons of tuna annually (effective January 1, 2019) or (2) process more than 12,500 round tons annually (effective January 1, 2020). These medium- and large-sized organizations are critical components of the complex, international seafood supply chain. In effect, Conservation Measure 2.4 will expand industry commitment to best practices beyond RFMO data submission, as ISSF’s suite of more than 20 conservation measures encompasses RFMO support; transparency and data collection; bycatch mitigation; monitoring, control and surveillance; illegal, unregulated and unreported fishing; capacity management; and more. Beginning January 1, 2019, for purchases from fish trading organizations that trade 10,000 tons or more of tuna annually (not directly from fishing vessels), purchase all round; gilled and gutted; or headed, gilled and gutted albacore, skipjack, yellowfin and/or bigeye tuna from ISSF Participating Companies. 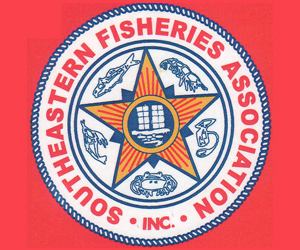 Effective January 1, 2020, if purchasing from processing organizations that purchase and process more than 12,500 round tons per year, purchase all frozen loins or processed, shelf-stable, canned or pouched products of albacore, skipjack, yellowfin and/or bigeye tuna from ISSF Participating Companies. ISSF is a global partnership among scientists, the tuna industry and the environmental non-governmental community whose mission is to undertake science-based initiatives for the long-term conservation and sustainable use of tuna stocks, reducing bycatch and promoting ecosystem health. Since its inception in 2009, ISSF has adopted conservation measures and commitments to facilitate this mission with the intent that processors, traders, marketers and others involved in the seafood industry will follow them to facilitate real and continuous improvement across global tuna stocks. ISSF Participating Companies commit to conform to these conservation measures to improve the long-term health of tuna fisheries. They also must adhere to the ISSA Compliance Policy. ISSF-participating tuna companies, which represent about 75% of the global canned-tuna market and include well-known brand names, are audited yearly by MRAG Americas on their operational transparency and compliance with ISSF conservation measures. Tuna companies interested in participating in ISSF sustainability programs can apply for International Seafood Sustainability Association membership. Tuna vessels that want to be identified with transparency and sustainable fishing practices can apply to be listed on ISSF’s ProActive Vessel Register. The International Seafood Sustainability Foundation (ISSF) is a global coalition of scientists, the tuna industry and World Wildlife Fund (WWF) — the world’s leading conservation organization — promoting science-based initiatives for the long-term conservation and sustainable use of tuna stocks, reducing bycatch and promoting ecosystem health. To learn more, visit iss-foundation.org, and follow ISSF on Twitter, Facebook and Instagram. November 1, 2016 — ILWACO, Washington — Demonstrating links between ocean health and the economy, the definitive annual federal report on U.S. fisheries released last week showed a plunge in some West Coast catches in 2015. Washington state’s total commercial catch in 2015 was 363 million pounds valued at $274.2 million, a decline of 35 percent by volume and 23.5 percent by value from 2014, according to “Fisheries of the United States 2015,” published last week by the National Marine Fisheries Service. But all was not gloom and doom: For example, West Coast landings of shrimp and albacore tuna were up, despite the warmer and less-nutritious waters associated with the ocean heat wave dubbed the Blob. This patch of warm water off the Pacific Northwest began forming in 2013 and persisted for two years before temporarily dissipating. Oregon’s commercial landings also were down, falling to about 195.5 million pounds last year, 33 percent less than in 2014. That catch was sold for $115.7 million, 26.6 percent less than 2014. Ports on the U.S. Pacific mainland experienced downturns in 2015 compared to 2014. The ports of Ilwaco and Chinook reported landings of 15 million pounds in 2015, down 44.5 percent from 2014 and less than half 2013’s total. Ilwaco/Chinook 2015 landings were the lowest since at least 2010 and dropped the ports out of the U.S. top-50 list. Astoria was the mainland West Coast’s largest fishing port in 2015, with landings of 92 million pounds, down 24.6 percent from 2014. Westport was second, with 84 million pounds in 2015 landings, off 16 percent from 2014. 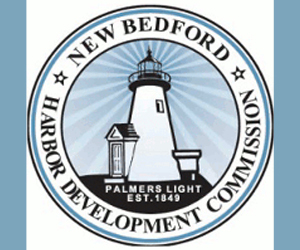 Newport was in third place, with 65 million tons in 2015, 47.6 percent less than 2014. The global commercial catch of tuna — a valuable, natural protein food source — reached 5 million tons in 2014, an increase from 4.6 million in 2013, according to the ISSF Tuna Stock Status Update – 2016 (Status of the World Fisheries for Tuna) report just published by the International Seafood Sustainability Foundation (ISSF). The report can be downloaded from the ISSF Status of the Stocks page. Tuna accounts for approximately 6% of the world’s 81.5-million-ton marine catch. The skipjack tuna species accounted for 57% of the tuna catch, followed by yellowfin (27%), bigeye (9%), albacore (6%) and bluefin (1%). Purse seine vessels harvested 64% of the tuna, followed by longline methods (12%), pole-and-line (9%), gillnets (4%) and miscellaneous fishing gear types (11%). The ISSF report indicates that 77% of the total volume of tuna catch worldwide in 2014 was from stocks at a “healthy level of abundance.” Previous Tuna Stock Status Update reports showed 78% of tuna catch from healthy stocks in 2014 (from a preliminary report in February 2016), 87% in 2013, 86% in 2012, and 94% in 2011. From a perspective of tuna stocks, 44% of tuna stocks globally are at a healthy level of abundance, and 39% are overfished. Eastern Pacific Ocean (EPO) bigeye tuna, for example, continues to be slightly overfished and was downgraded from a Green (healthy abundance) rating to a Yellow (intermediate) rating since the previous February 2016 report. Other overfished stocks were Western Pacific Ocean (WPO) bigeye, Atlantic Ocean (AO) bigeye, and Indian Ocean (IO) yellowfin. Tuna Stock Status Update also reports on tuna management measures recently enacted by tuna Regional Fisheries Management Organizations (RFMOs). Significant newly adopted measures covered in the report include the adoption by the IOTC (Indian Ocean Tuna Commission) of harvest control rules (HCRs) for skipjack tuna, as well as a plan for rebuilding the overfished IO yellowfin stock. The IATTC (Inter-American-Tropical-Tuna-Commission, in the EPO) also adopted an HCR for tropical tuna species. 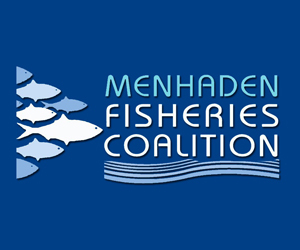 A collection of more than 40 West Coast commercial and recreational fishing groups, working in conjunction with the National Coalition for Fishing Communities, has written to the White House, the Secretaries of Commerce and Interior, and officials in the National Oceanic and Atmospheric Administration, opposing the proposed designation of marine monuments off the coast of California that prohibit commercial fishing. The letter is in direct response to a recent proposal calling on President Obama to declare virtually all Pacific seamounts, ridges, and banks (SRB’s) off the California coast as National Monuments using his executive authority under the Antiquities Act. If enacted by executive order, the new monuments would permanently close virtually all of California’s offshore SRB’s to commercial fishing. 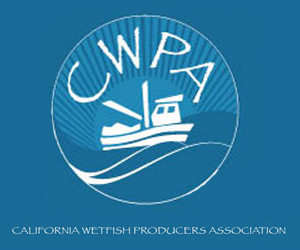 “Fisheries provide healthy food for people, and our fisheries are a well-managed renewable resource,” the letter continues, noting that California already has the most strictly managed fisheries in the world. Among the areas proposed for monument status are Tanner and Cortes Banks in southern California, which are critically important for many fisheries including tuna, swordfish, rockfish, spiny lobster, sea urchin, white seabass, mackerel, bonito, and market squid. The proposal also called for the closures of Gorda and Mendocino Ridges in northern California, which are important grounds for the albacore tuna fishery. As the letter states, closure of these important areas to commercial fishing would cause disastrous economic impacts to fishermen, seafood processors and allied businesses, fishing communities and the West Coast fishing economy. Even more important than the value of the fisheries is the opportunity cost of losing these productive fishing grounds forever. Unilateral action under the Antiquities Act would also contradict the fully public and transparent process that currently exists under the federal Magnuson-Stevens Act. Such a designation would also conflict with the President’s own National Ocean Policy Plan, which promises “robust stakeholder engagement and public participation” in decision-making on ocean policy. “We ask you stop the creation of these California offshore monuments under the Antiquities Act because monument status is irreversible, and the Antiquities Act process involves no science, no public involvement nor outreach to the parties who will be most affected by this unilateral action – no transparency,” the letter concludes. 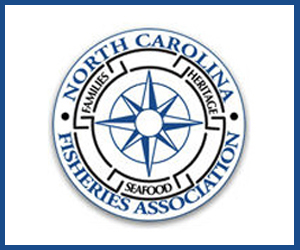 The National Coalition for Fishing Communities provides a national voice and a consistent, reliable presence for fisheries in the nation’s capital and in national media. 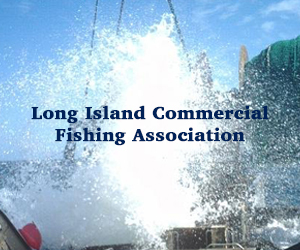 Comprised of fishing organizations, associations, and businesses from around the country, the NCFC helps ensure sound fisheries policies by integrating community needs with conservation values, leading with the best science, and connecting coalition members to issues and events of importance.